Intergroup – May 2013 – Lincoln Nebraska A.A.
Hope to have flyers out for next intergroup meeting. We have officially moved into the black for budgeting. We are 200.00 ahead of our budget needs for the year. There is an outstanding question on a donation from Wild Bunch. We are having the group check to see if the check is showing as cleared for their bank as it’s not been credited to the Intergroup account yet. Contact info provided for Omaha VA. Jim to check on contact info for old timers group for Marcella. Someone from Regional Center getting out and wants a sponsor. Craig will call him. City/County Jail (Joe) – two new male volunteers have been cleared to take meetings into the facility. They will accompany Joe when he goes in for his meeting. One more maile volunteer has filled out an application. CCCL (Tom) – The men’s in-house Twelve Step study on Tuesday nights continues to go well. A new volunteer has started attending. D&E (Bill) – Wendesday night meeting is going well, though attendance is down a bit. No report on Monday night meeting. Old Business – At the April corrections committee meeting, the committee voted to provide AA literature for two inmates who wrote to us with requests. That was put on hold after Joe discovered we needed more information about the procedures that each institution has for allowing inmates to receive matrial directly. One of the inmates is at RTC and AA literature is already available for him to checkout from the facility’s library. The other inmate is at NSP (Nebraska State Prison) and we need to contact his counselor before making any donations. Tom will do this in conjunction with another NSP matter in New business. New Business: The Iron Bar Group at NSP has required that the Corrections Committee provide them with some Big Books and Twelve and Twelves. The letter making this request did specify the number of copies needed, but it did provide us with the name of a staff member to contact. Tom will make that contact, then report back to us. He will also ask that staff member about the NSP inmate listed above in Old Business. 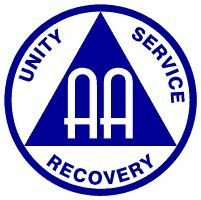 Bill O reports that an AA volunteer who goes into the women’s prison at Tork has requested 6 Big Books and 6 Twelve and Twelves for the facility. Motion made and passed. 52 people did not answer this is slightly skewed as one person called in multiple times (probably about 10). No specific feel for what time period this tends to happen, but gut check is that it’s during the day since this is a hard time slot to get coverage for. He will try to keep an eye on it. Meeting minutes sent to the webmaster have been posted online. Webchair tested and confirmed the Contact Form is receiving messages sent through the website. If any flyers need to be sent for posting to the website, please use the Email Webmaster form on the Contact section of the website. The webchair is planning to move to Omaha over summer and will no longer be able to attend the monthly Intergroup meeting in Lincoln. Would like to ask for volunteers who can help update and maintain a WordPress website and attend monthly Intergroup meetings. Reminder to committees to bring bi-annual budget reports next month. Did issue with retirement home get resolved? No, not really, but this particular one will be taken care of. If we want a committee to reach out, we may want to better understand from GSO how these facilities fall under intergroup. Can we get the hotline sign-up out in more places so we get more daytime volunteers? Previously motioned for a sign-up sheet to be on the web for people to print out, which isn’t out there yet. Brian will follow up with Ron to get that out there. Talked about what the feasibility is of allowing someone to actually sign-up on the web, but really it would still be up to Brian to manage, so using the sheet should be fine. If you go to day time meetings, feel free to take a sheet. As a side conversation – Jim mentioned that Central office is going to go to meetings to talk about the role of Central Office. Since the Hotline is also their responsibility, they could bring sheets and let groups know of the need for volunteers.